(Mpr Consulting/Shuzzr PR) - Don't be fooled by the name 'cause Conflict is in no disagreement "Summer Is On". With a slew of music hitting the airwaves and each claiming to be THE summer hit, Conflict new single"Summer Is On" is a definite contender. A good summer song is upbeat and evoke happiness, you can almost feel the sun on your face, the smell of the beach, the feel of the wind and the echos of laughter and fun! So have no worries if you can't get away, "Summer Is On"will take you on musical vacation. The NikoOoproduction single on the Blue Light riddim has hit the airwaves full speed, and is already on rotation on local radio. You can catch "Conflict" at various local and international performances,and request the single "Summer Is On" on your radio! 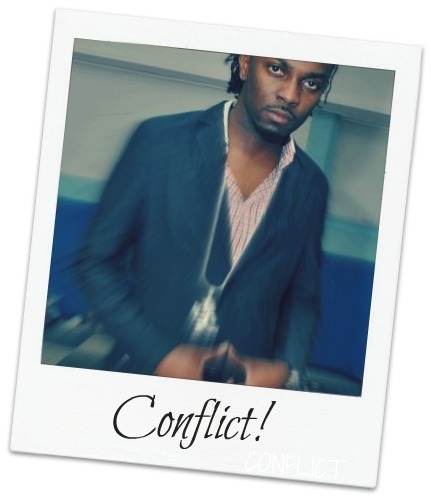 About Conflict: Patrick Mullings aka Conflict Conflict was born and raised in Annotto Bay St. Mary, Jamaica. He later migrated to the US in 2004 and threw his hat right away in the entertainment industry. Unlike many he had an overall positive experience in his quest to become a recording artist. Not even the highly controversial nature of his name or the murmur of critics has discouraged his love for creating music.